This is a very popular style and can be easily carried in the pocket with its protective case. With an easy to read digital display screen in 0.1°C increments. 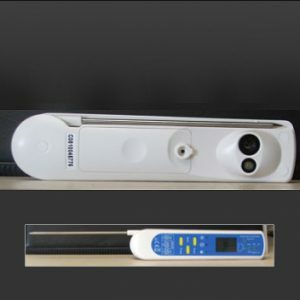 It reads from -50°C to 200°C and has a Maximum/Minimum button with an auto power off feature. 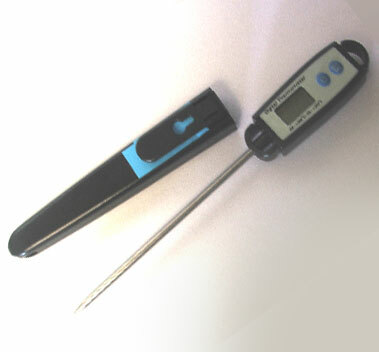 All thermometers are sold with a Calibration Certificate showing that the probe accuracy has been checked before posting to purchaser.